Gather your sleeping bag, blanket, or soccer chair to sit on. Arrive at HRBC at 5:00 pm on Sunday, January 20 to eat pizza, watch a great movie, and consume large quantities of free popcorn! 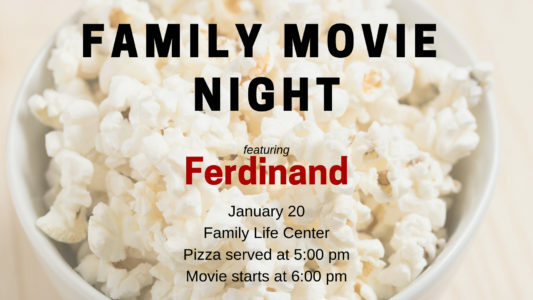 Pizza starts at 5:00 pm; Ferdinand starts at 6:00 pm. The fun starts when you arrive!